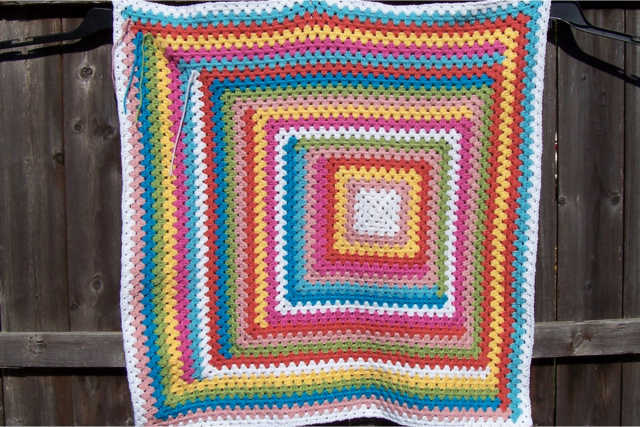 My baby blanket has grown, 31 inches square now! I like how it has turned out. I am thinking on the border and can’t decide yet what to do. I may have to just try a few ideas and see how it looks. I think I will look at my book of edgings to get ideas!